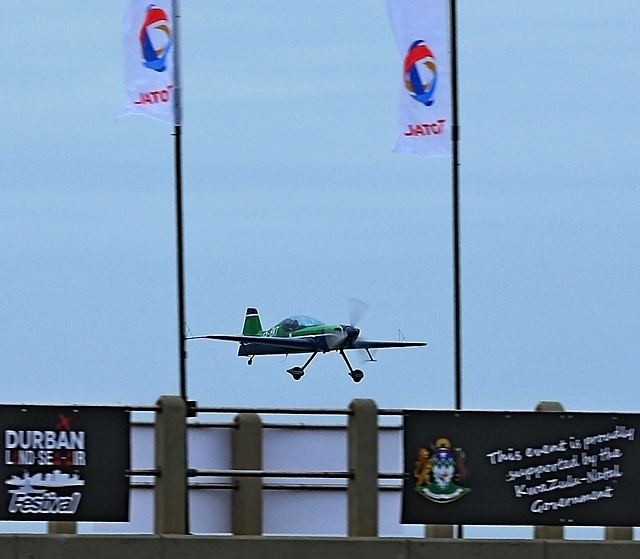 The opening day of the Sky Grand Prix took Place in an overcast eThekweni. 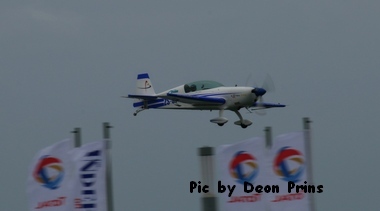 Fortunately the clouds remained high enough for the qualifying rounds to continue. 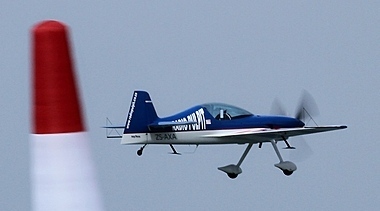 The five invited pilots from abroad were ensured of their places in the competition whilst the South African entrants had to fight it out for the remaining five places. The semi-finals are scheduled for Friday whilst the finals will take place on Saturday. In case of rain it will be postponed to Sunday. 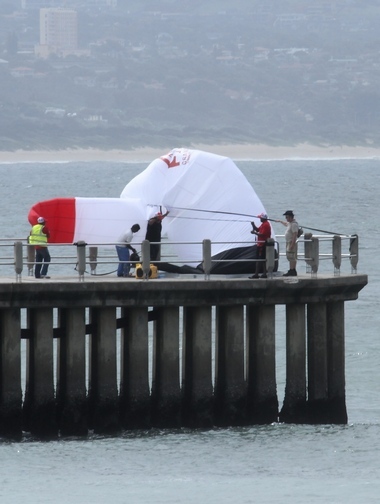 The wind unfortunately did not play ball and the Pylons were for most of the day not inflated. 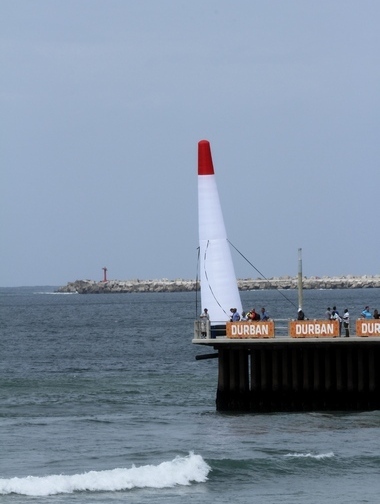 This did not hamper the pilots as the boundaries of the course is demarcated by the north, middle and south piers on the seaward ends of which the pylons will erected for the rest of the competition. 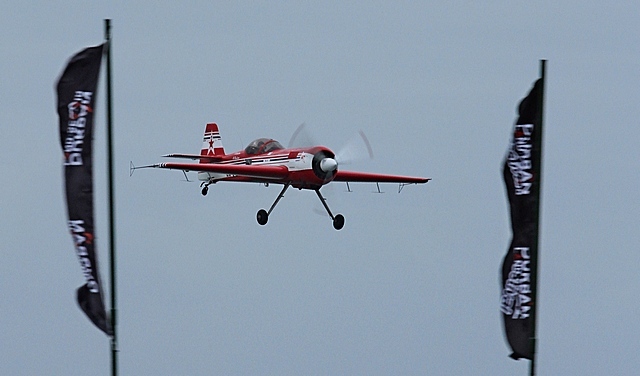 The visiting pilots that were all using aircraft supplied by the local competitors used the morning and afternoons sessions for practise whilst for the local pilots is was serious business as their sequences were judged by an international panel and the outcome determined whether they would take part in the actual competition which is set to start on Friday. 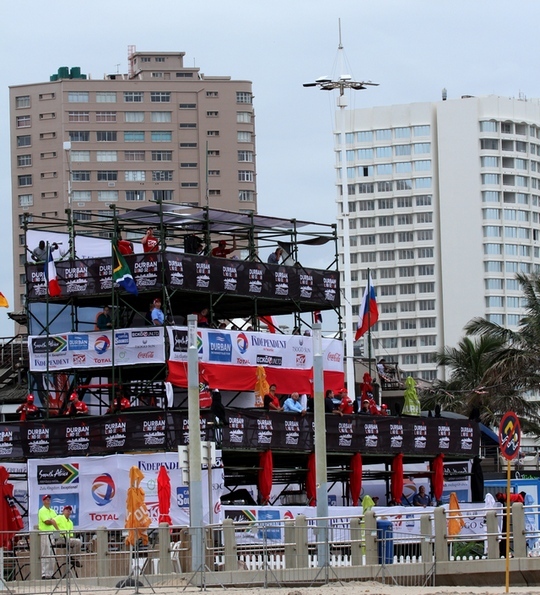 The five South African qualifiers that will go through to the next round are: Nigel Hopkins, Mark Hensman, Bertus du Preez, Patrick Davidson and Barrie Eeles. 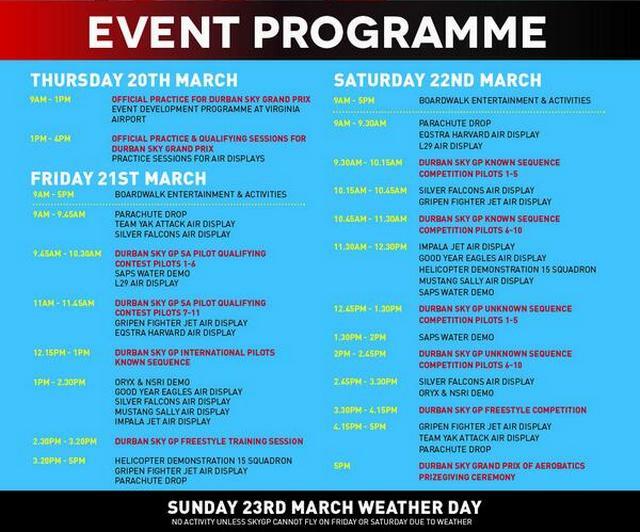 The weather forecast for the next couple of days looks promising and the typical blue KZN sky will be alive with the roar of high performance aircraft as the South African's do battle with some of the best aerobatic pilots in the world. 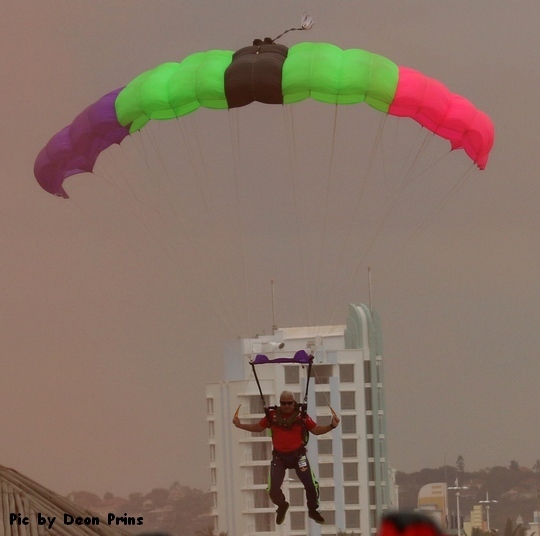 Also seen overhead the surf was a spirited display by the SAAF's Gripen and Silver Falcons as well as the Impala and Flying Lions Harvards whilst a team the KZN Skydivers formed part of the official opening of what is set to be an event that hopefully attracts a countless of visitors to the capital city of KZN.